Significant changes to how UK employers administer payslips are set to come into force later this year. The Government has enacted legislation which means that the statutory right to receive payslips applies to all workers and that new information must be included in payslips for all employees where pay is dependent on time worked. Currently the right to receive a payslip is only available to employees (as opposed to workers). 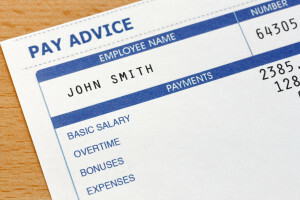 The changes come into force on 6 April 2019 and at that time all employees and workers, including permanent, casual and zero hours workers must be provided with itemised payslips. The changes to the right to receive payslips follow recommendations by the “Taylor Review into Modern Working Practices” and the Low Pay Commission. The Taylor Review was an independent review of modern working practices which suggested changes to the rights of employees and employers. The objective of extending the right to receive detailed payslips to all workers is to provide greater certainty and transparency for staff in relation to their pay. The definition of a worker includes any individual “who undertakes to do or perform personally any work or service for another party, whether under a contract of employment or any other contract”. This will include casual workers, agency workers, freelance workers, seasonal workers and workers on zero hours contracts. In addition to extending the right to a payslip to workers, employers will also now have to provide fully itemised payslips to anyone on its payroll where the pay varies in accordance to the time they have worked. Under the current law payslips in the UK are required to include details on an employee’s gross salary, deductions in the form of tax and National Insurance and the net salary ultimately received. However, after 6 April 2019 payslips will now also have to include details about the number of hours worked by staff whose salary changes dependent upon the hours they have worked. The time may be detailed as a single figure or broken down further into different hours for different types of work undertaken or different rates of pay. Payslips may be provided in either hardcopy or electronic form and must be delivered on or before the payday. Where employers breach the new rules, employees and workers will have the right to bring claims in the Employment Tribunal. In preparation for the deadline, employers will need to review their payroll practices, onboard workers to payroll infrastructure and ensure that accurate records are being kept of time worked for all workers and employees where pay is variable.